A second world, a second love, the same evil … Book 2 of the glorious Starbound series, now being made into a TV series. Jubilee Chase and Flynn Cormac should never have met. Lee is captain of the forces sent to Avon to crush the terraformed planet’s rebellious colonists, but she has her own reasons for hating the insurgents. After his sister died in the original uprising against the powerful corporate conglomerate that rules Avon with an iron fist, Flynn is leading the rebellion. Amie Kaufman and Meagan Spooner are the authors of These Broken Stars. Megan lives in Washington DC, while Amie lives in Melbourne. I was unsure if this book to begin with, as it seemed it would centre on,y two characters, but the story development was fast, the characters were captivating and then the book got into a good pace. It was easy to read and so beautiful. The rest of the series followed suit. Definitely a favourite. This book holds your interest from start to finish, a flawless sequel to the amazing These Broken Stars. This series has officially become my favourite thing to read. I literally loved everything about this book! I loved the characters and the plot, the only thing that could have been fixed was the fact that the book dragged on a little but other than that, I LOVED IT!!! 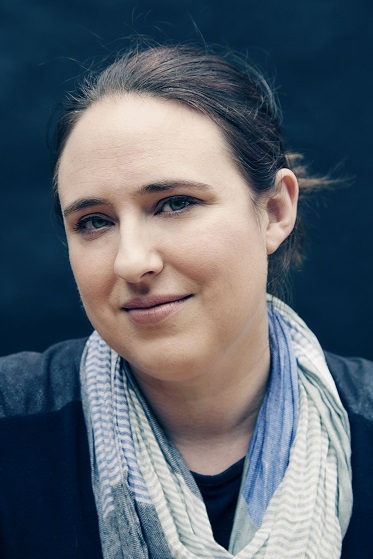 Amie Kaufman is the New York Times and internationally bestselling co-author of the award-winning Starbound trilogy (These Broken Stars, This Shattered World) and The Illuminae Files trilogy (Illuminae). Her multi-award winning work has been published in 30 countries, and described as “a game-changer” (Shelf Awareness), “stylistically mesmerising” (Publishers Weekly) and “out-of-this-world awesome” (Kirkus). Amie had the good fortune to be raised just one block from her local library, and took full advantage of that fact growing up. She and her sister spent their childhood summers re-creating their favourite books by camping in the back yard, mapping their neighbourhood, climbing trees, stepping through magical doors and sailing the local seas. Raised in Australia and Ireland, she has kissed the Blarney stone six times, thoroughly cementing her gift of the gab. As she grew older (but not up), she continued her education, and graduated with honors degrees in history, literature and law, and a master’s degree in conflict resolution. After working as a mediator for seven years, these days she’s a full time writer, working from her home in Melbourne when she’s not on the road in the US, Europe and Asia. A few of her top travel moments include camping in the Sahara overnight, climbing a mountain in Vietnam, standing on the Great Wall of China and cycling the Loire Valley, but she has a huge list left to cover.